When shopping on a budget, one of the first things you might say is, "I need a list of thrift stores!" Thrift stores can provide you with great bargains on home goods, clothing, and even books and CDs. Whether you are shopping for yourself or shopping for a gift, you can find something unique and frugal in a thrift store. The next time you find yourself saying "I need a list of thrift stores," check out these lists below to point you in the right direction. If you need a list of thrift stores, start with the Internet. There are numerous websites that provide a helpful answer to the request that "I need a list of thrift stores" in nearly every state. Whether a bargain hunter or an aspiring entrepreneur, you'll find this list of online directories for thrift shops useful. TheThriftShopper.Com is a useful source for bargain shopping. You can search for thrift stores within the site's nationwide directory, or join the online thrift community to learn more about the art of thrift shopping. G-Site provides a detailed list of thrift shops in the Los Angeles area. Yelp posts matches for thrift and consignment shops in the U.S.
Thrift Store Whore has a compilation of links and posts with information related to everything about thrift store shopping. It also has a comprehensive directory of thrift stores in the U.S.
Squidoo offers a list of thrift stores in Chicago, including links to websites and profiles. The Denver Post provides a list of thrift shop locations in Denver, Colorado. The Better Business Bureau provides a business directory listing of the accredited resale and thrift shops in Mahoning, Columbiana, and Trumbull Counties. The Collectics Collecting & Design Directory provides information on malls, antique shops, dealers, thrift shops, jewelry stores, consignment shops, vintage stores, flea markets, crafts, antique stores, and collector's clubs. Once you have found your perfect thrift store from the list, you'll want to make the most of your shopping experience. Find out when your local thrift store puts out new merchandise and make sure to stop in on that date to get the best selection. 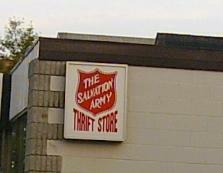 Alternatively, many thrift stores offer special bargains and sales. Watch store bulletin boards and speak to staff to find out i your top store offers any special deals. With a little effort and a little luck, you can find beautiful things for yourself, your family and your home in any local thrift store.